Congress president Rahul Gandhi on Sunday, March 25, threw a barb at Prime Minister Narendra Modi on Twitter alleging that the Narendra Modi app is leaking data to US companies. His sharp remarks come close on the heels of the UK based private firm, Cambridge Analytica data leak controversy. The controversy has triggered a war of words between Congress party and the ruling Bharatiya Janata Party who have accused each other of having links with the data company. The newly elected Congress president Rahul Gandhi on Sunday, March 25, threw a barb at Prime Minister Narendra Modi on Twitter alleging that the Narendra Modi app is leaking data to US companies. Recently a French researcher, Elliot Alderson through a series of tweets claimed that the Narendra Modi android app is allegedly sharing private information of users to third-party US company, Clever Tap, without their consent, reported Indian Express. 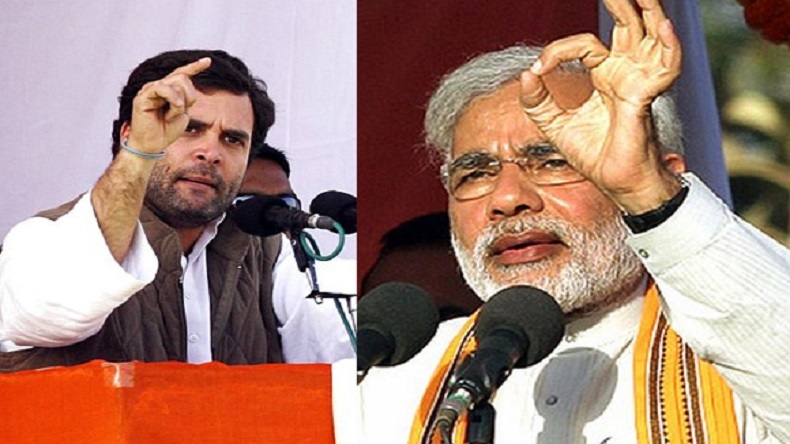 Hitting out at PM Modi, Rahul Gandhi wrote on Twitter, “Hi! My name is Narendra Modi. I am India’s Prime Minister. When you sign up for my official App, I give all your data to my friends in American companies.”His sharp remarks come close on the heels of the UK based private firm, Cambridge Analytica data leak controversy. The data analysis firm is alleged to breach the data 50 million Facebook users. The private company has also been alleged to have stripped voter data to tamper elections in India. The controversy has triggered a war of words between Congress party and the ruling Bharatiya Janata Party who have accused each other of having links with the data company. However, Rahul Gandhi has in the past days denied the allegations and asserted that the BJP should tackle the death of 39 Indians killed in Iraq. The Ministry of Electronics & Information Technology (MEITy) on Saturday, March 24, sent a notice to the data firm seeking information about its clients in India and if it had harvested their user profiles.